The monthly magazine will be available at a cover price of Rs 40. The company has kept a content and advertisement ratio of 75:25. 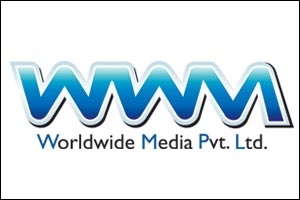 Worldwide Media (WWM), the 50:50 joint venture between the Times Group and BBC Magazines, the publishing division of BBC Worldwide, is all set to launch the Hindi edition of Filmfare, the magazine about Indian cinema. The monthly magazine will be available at a cover price of Rs 40. Tarun Rai, chief executive officer, Worldwide Media, says in an official communiqué, "There are other film magazines, but none of the stature and lineage of Filmfare. We wanted to give more people access to Filmfare's quality journalism, its vivid photographs and excellent production values. Our research has shown that there is a big market for Filmfare Hindi, and we expect it to be a huge hit." About 75 per cent of the magazine will be content, while the remaining 25 per cent will comprise advertisements. On the distribution strategy, Rai adds, "All Hindi speaking markets are important for us and we would like the magazine to have readers in Mumbai, as well as cities in Uttar Pradesh. Our reach is huge as the magazine is distributed by The Times of India Group. North India will be a very important focus market." Filmfare Hindi will aim to attract advertisers from up-market brands as well as relevant regional players. Rai adds that the group foresees growth in regional markets such as Hindi and other language markets. In an effort to tap the regional consumer, the company, in one of its first such attempts, had launched Femina in Hindi in 2008. After nearly two years, the company launched Femina in Tamil, too. Rai explains, "The success of Femina in Hindi led to the launch of the magazine in Tamil. If Filmfare's Hindi edition is able to repeat the success story of Femina, we will launch the magazine in other regional languages, as well."